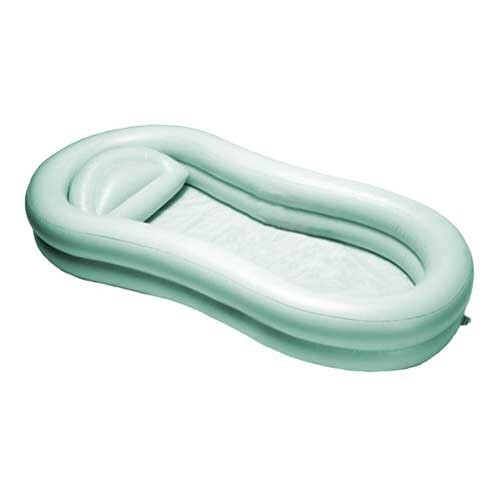 Fits persons comfortably up to 6'2"
EZ Bathe Body Washing Basin allows for easy bathing of patients by using a roll out feature that assists the bather in getting their patient washed. 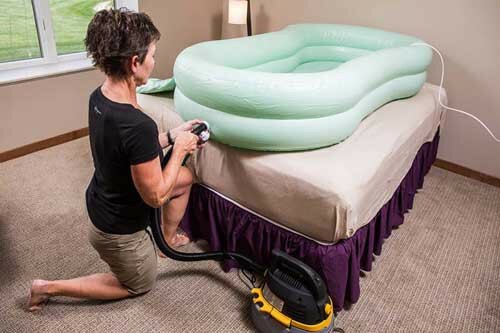 The portable EZ Bathe uses a double tube design to prevent overage spills and inflates to 71 inches, easily fitting individuals up to 6' 2". 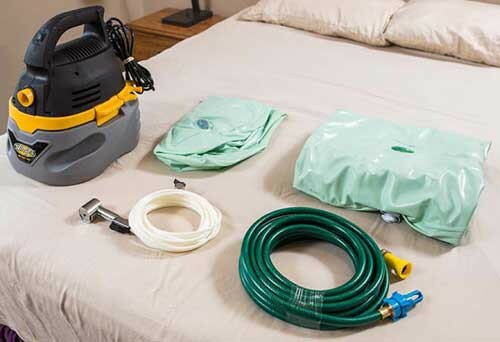 The EZ Bathe is able to fit on standard beds and comes with a 25-foot hose with a shower head. 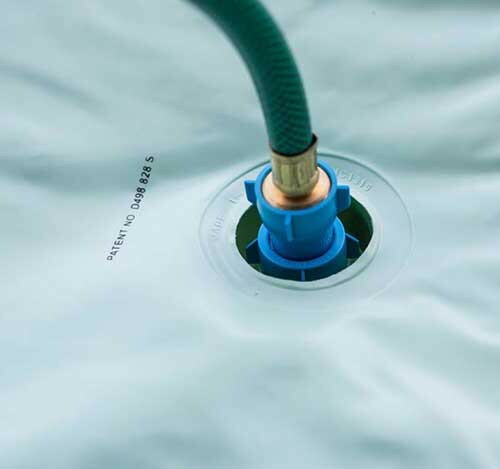 The bath also comes with a drain hose valve, allowing people to either take a bath or a shower. 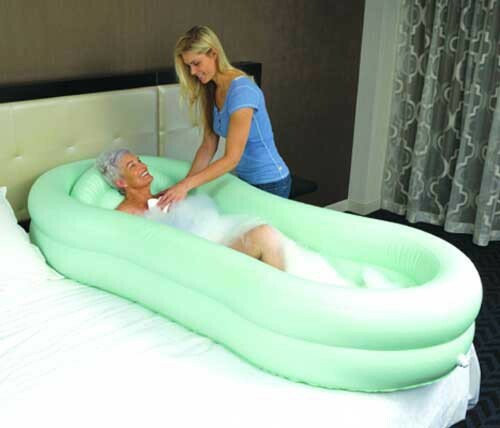 The EZ Bathe is manufactured by Homecare Products. Other Homecare Products include the EZ Shampoo Hair Washing Tray, the EZ Shampoo Deluxe Basin and the Pathway Modular Ramp. Baths persons comfortably up to 6' 2". Collapses to a small, storable size. EZ Bathe Brochure covers the features and benefits of several EZ bathing products. 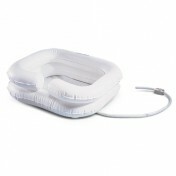 EZ Bathe Instructions provides setup and use information. 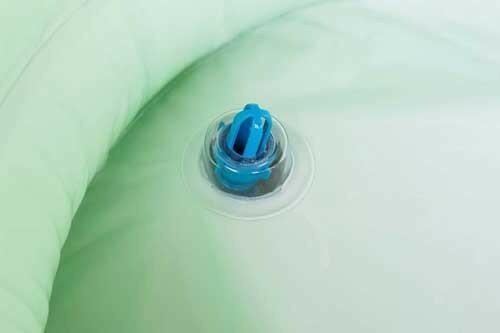 EZ Bathe Warranty from Homecare Products offers details about the 1 year warranty.